A good friend from Melbourne was in town last week, and if I ever needed an excuse to pig out, this was it. I called about 5 days ahead to book for a weekday lunch but it wasn't good enough for the only three-Michelin-starred Chinese restaurant in the world, so I before I continue, I must disclaim that my booking for this lunch was made through the very kind public relations department, and you may make your own judgement as to how representative this is of an average meal at Lung King Heen (I'd say it pretty much is - oh sorry, what did I say about your own judgement again?!). Needless to say, this is not my usual protocol, and aside from this, we enjoyed and paid for the meal as normal diners would. Right, so with all that done, I can get started on the important bits, the food. As we were here for lunch, I was keen on trying as many dim sum as possible. They offer an executive lunch, but with a serving of carbs at the end and only 3 dim sum to start, I decided we would go a la carte. Xiaolongbao are Shanghainese, not Cantonese, (otherwise my xiaolongbao marathon in Shanghai would have been pretty pointless), but who doesn't love a soupy dumpling, especially one in its own little carry basket. I think most people have no qualms about ordering them during yum cha anymore. When I was little, we used to pretend to be the dim sum cart ladies (because back then, there were dim sum carts) and push our carts, shouting "Har gauuuuuu! Siu maiiiiiiii!" Somehow these were always the things we called out first, and maybe out of habit, I order these on most occasions. This is probably the first time I've ever had lobster in a dim sum dumpling (us plebeians aren't afforded the opportunity too often, y'know), and it was delicious. The cabbage wrapper, replacing a more traditional starch-based one, kept it light. Needless to say, the ingredients were astoundingly fresh, and steaming them together created mouthfuls marine goodness. Although you usually can't go far wrong with seafood stacked upon more seafood, I felt that the slice of scallop didn't contribute hugely to the flavour, and texture-wise, as it was thinner than the lobster and shrimp, it seemed to have dried out at little more. If I hear another Yung Kee rave, especially about a recent meal, I would dare them to do a side-by-side tasting with this one, and probably the one at Yat Lok and the old Chan Kee in Sham Tseng. And if I wanted to get real crazy nasty about it, I would also keep shouting like a (loud) broken record to say that I grew up in Sham Tseng, Hong Kong's home of roast geese, and have eaten more geese than they have eaten rice*. Or bread, potatoes, or whatever staple they eat. And then they can get out of my face. Ahhh. So after that imaginary shout-fest, it seems fitting that we end with a soothing dessert - almond milk with egg whites, supposedly good for your skin and lungs, and otherwise just good for your tastebuds. Is this the best dim sum in Hong Kong? I have a lot of trouble answering questions like that. What does "best" mean, for example? I've raved about places that others find mediocre because they simply had different expectations. If you ask me, there are a few fine dim sum experiences in Hong Kong and this is one of them. *There's a Chinese saying that goes, "I've had more salt than you've had rice", which means someone has experienced much more than you, but really I just like that we use food analogies on a daily basis! 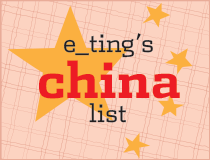 it is certainly a very good place for luxurious-type dim sums. but the atmosphere and company are what make food event better. Tes photos sont splendides et me font saliver! bravo! I've had some really good roast duck at the Central branch of http://www.tsuihangvillage.hk/ but I need to try LKH when I'm next in HKG. 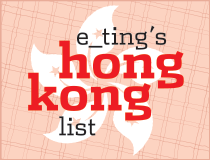 Great site too, we've recently arrived in HK and are spending 3 months here to cover the foodie scene so we're going to scour your site for more great places. I remembered I had dim sum at Lung King Heen when it first opened and I thought it was above average, but didn't quite think it wow'ed me enough to make it "the best". Then I had dinner here last year and it was VERY disappointing. My friend who went to dinner with me (also felt disappointed) mentioned that the dim sum he had here was one the best dim sum experiences! I trust his opinion comletely and it just goes to say that for a Chinese restaurant, it is hard to judge its overall quality by just lunch (esp. dim sum) or dinner. The dim sum chefs are not the same as the kitchen chefs, so what earns a Chinese restaurant stars? It's not easy to say unless you try both. In the end, you could really end up with very different level of meals in a Chinese restaurant depending on whether you go for dinner or lunch. And I really believe that I have more salt than most people having rice! LOL! Agree totally with what Little Meg has said. In fact Lung King Heen had really terrible a la carte dishes before - worst than Dai Pai Dong. Their dim sum and hot food have already improved actually, I have bagged it before on Openrice xD but now I am ok with it. I hear what you're saying about the star rating. We were a little confused as we've now been to two average dim sum places, both of which had 2 Michelin stars...I wondered if they had awarded themselves or is there a different Michelin in HK? BTW one 2 Michelin starred place had glass shards in their fried turnip with XO sauce! On a separate note, does anyone know about food bloggers meet ups in HK? Thanks!